Plan your adventures ahead and book your flights with AirAsia. 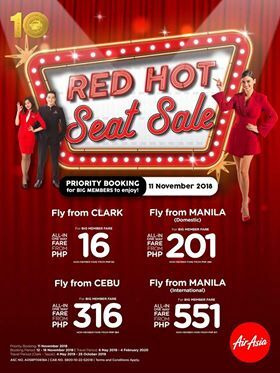 #RedHotSale promo flights for as low as 16 all-in to any select local and international flights! How to book please. Thanks.